So you’re heading to the US for some business meetings with your Chief Architect then you get upgraded to business class where there’s free WiFi and you’ve got 6 hours to kill. 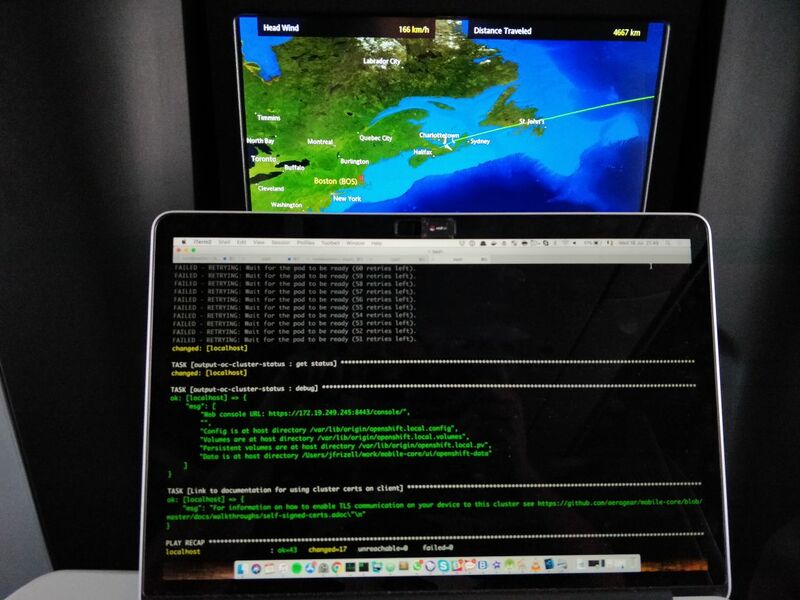 You options are watch movies (seen them all before), drink wine (a given) and/or have an in-flight hackathon to test out the quality of the WiFi. And so we did just that and went ahead and provisioned an instance of the latest Aerogear Mobile Services powered by OpenShift Origin, resulting in very own cloud platform built in the clouds! …and we did (eventually) get the all-elusive OpenShift Console with the Mobile tab in all it’s beautiful glory. We also needed to get very creative in order to share the screen shots (which involved USB-C cables and several other travel accessories that only an Architect and Director would have) despite physically sitting beside each other, but such is life. And for good measure, we also published this blog article from the air! 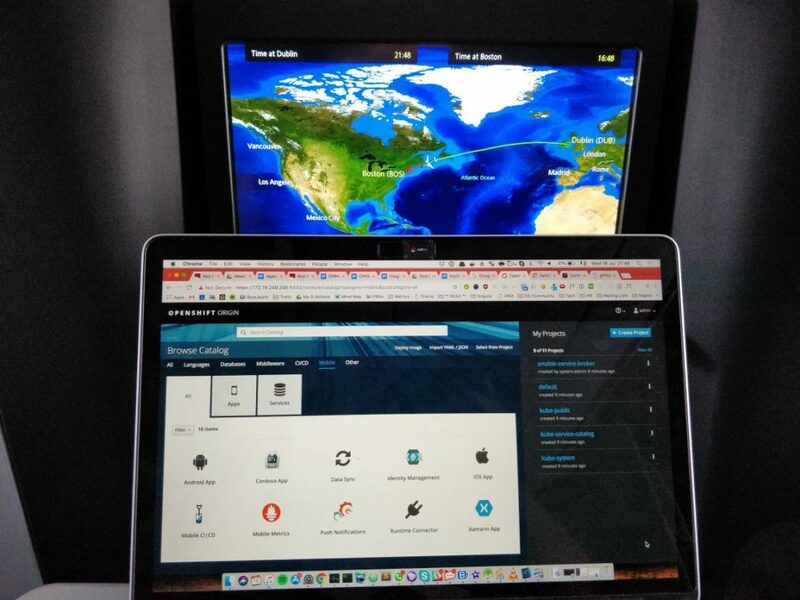 So what have you done to test your in-flight WiFi and how was it for you? James Mernin is the Chief Technology Officer at Red Hat Mobile and the owner and administrator of the Martello blog.